The fourth meeting of the Task Force Reactive Nitrogen will be held in Prague 12-13 May - preceeded by Expert Panel meetings on the 11th May. 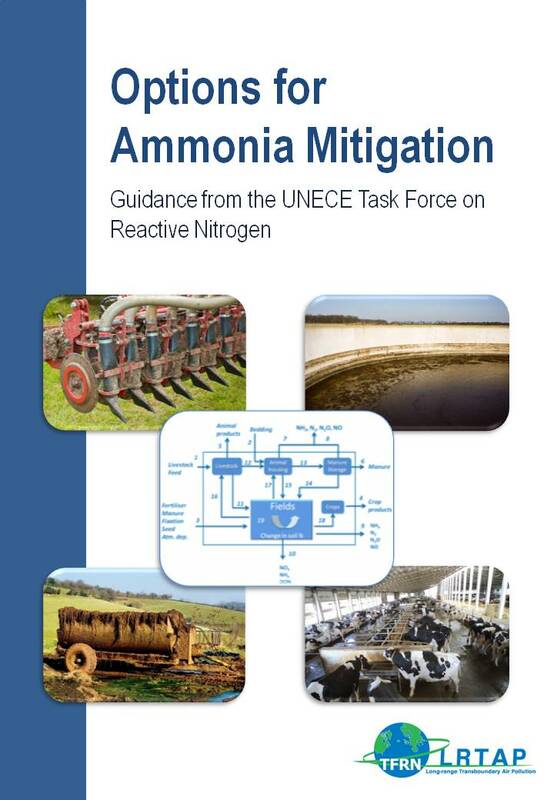 The third meeting of the Task Force on Reactive Nitrogen will take place on 24th and 25th November, 2009. The meeting will involve discussing and agreeing upon the options for amending Annex IX of the Gothenburg Protocol, to be taken forward to the Working Group of Strategies and Review of the UNECE Convention on Long Range Transboundary Air Pollution. More information on the meeting and a registration page will be made available in due course. Third meeting of the Expert Panel on Mitigation of Agricultural Nitrogen. This meeting will be focussed on the discussion of options for amending Annex IX of the Gothenburg Protocol and supporting documents. Registration for this meeting is now open, please visit the EPMAN-3 page for further links and information regarding the meeting. The first meeting of the 'Expert Panel on the Mitigation of Agricultural Nitrogen' (EPMAN) is being held on the 12th November 2008 in Milan. The meeting will occur after the meeting of the 'Task Force on Emissions Inventories and Projections' (TFEIP), on the 10-11th November, in the same location. The 4th annual meeting and general assembly of the NitroEurope IP will be held in Gothenburg/Sweden, from January 26-29, 2009. For more information, check the NitroEurope website at www.nitroeurope.eu.